Style: Holiday style with ELVI. So I've got loads of cute holiday outfits for you, I tried to snap as many of my evening outfits as I could when I was away. If you're heading off on your jolly's soon, or if the weather here ever perks up, stay tuned, maybe you'll be inspired! Today I've got this gorgeous maxi skirt from ELVI. 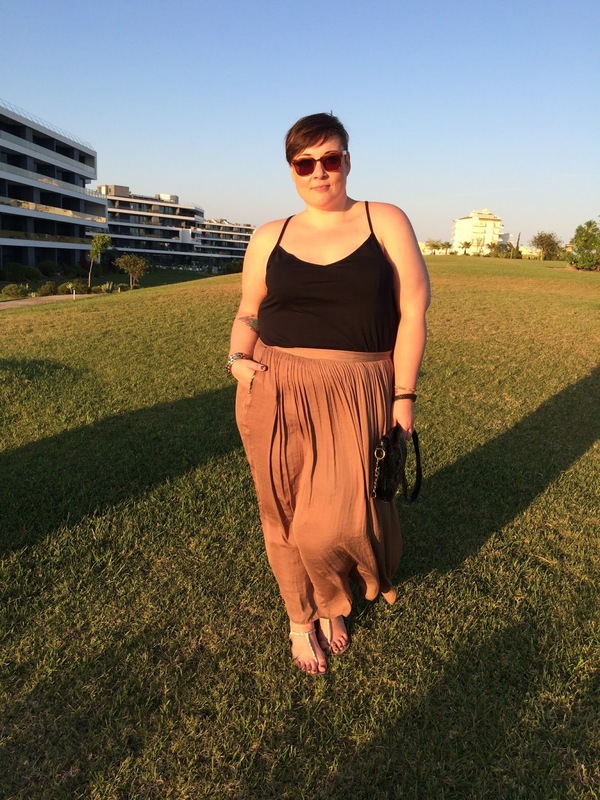 I wore the gorgeous camel pleated maxi skirt on my first night there. 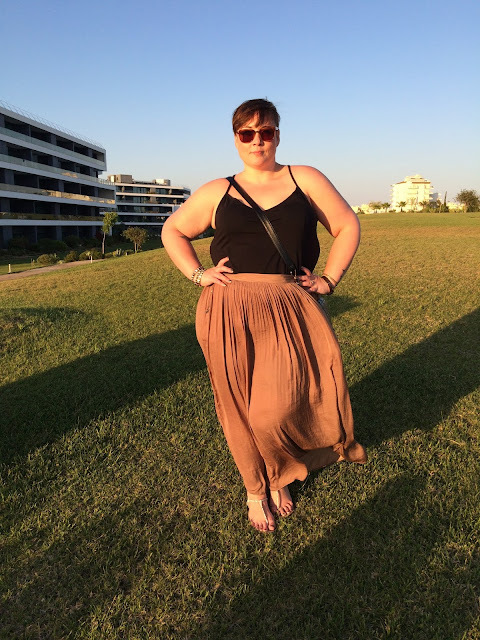 While my blindingly white, milk bottle legs are beautiful, I wasn't up to flashing them quite yet, so this cool, floaty maxi skirt was perfect. I just styled it simply with a cami top and cute snake print sandals. I'll be bringing you lots more outfits this week, I hope you like them! Such a beautiful skirt - love how it flows!